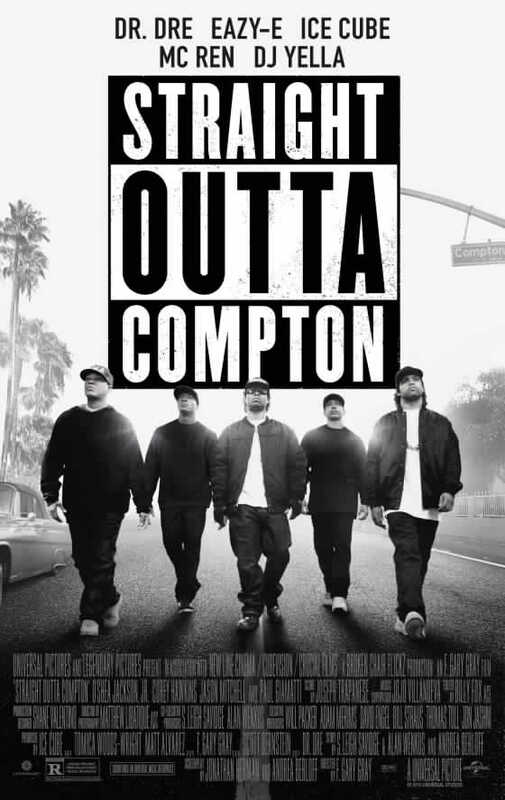 On August 15, “Straight Outta Compton”, a biopic focused on the rise and fall of N.W.A was released in theaters worldwide. As of September 13, I still haven’t seen the film, but hope to see it when it’s released on VOD. My priors: I’m skeptical of all biopics, particularly those produced or enthusiastically endorsed by its subject(s). Even if the performances are great and the story is compelling, it’s impossible for me to ignore the giant conflict of interest. I’m always wondering if the filmmakers are avoiding controversial topics to satisfy their subject or creating a commercial for the subject that helps them develop their brand. I suspect that “Straight Outta Compton” has both problems, but I’m still looking forward to watching it, if only because the story overlaps with my memories as a fan of hip-hop music in the early nineties. I started to pay attention to the stories we tell about hip-hop around the time that N.W.A. fell and Death Row rose to prominence, so I’m all in for any story about that era or those artists, no matter how flawed.